Weight gain is a natural and healthy part of pregnancy – but research shows 3 in 4 women are gaining too much or too little. Here’s what you need to know. Your body needs lots of nourishment during pregnancy. After all, you’re doing the incredible job of growing and nurturing a tiny human inside you. The food you consume provides essential fuel for your little one’s growth and development, as well as keeping your body healthy, feeling its best and ready for childbirth. Naturally, a healthy pregnancy will involve steady weight gain. But it’s important for both your health and your baby’s that you gain within recommended ranges, relative to your weight and height at conception. 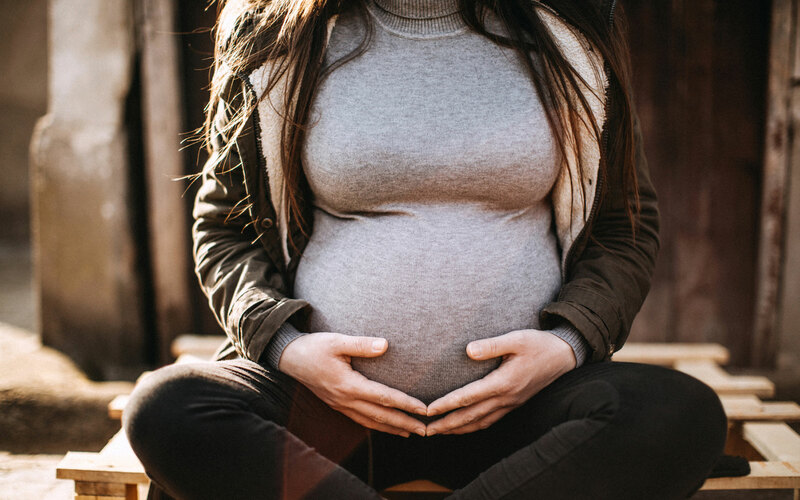 According to a large study lead by Monash University and published in JAMA in 2017, most pregnant women struggle to stay within the ideal range. “Our research shows that 3 in 4 women aren't gaining the recommended weight during pregnancy, increasing the risk of complications such as gestational diabetes and difficult births,” says Dr Cheryce Harrison, senior research fellow at the Monash Centre for Health Research and Implementation (MCHRI). “Healthy weight gain depends on a mother’s height and weight at conception – with a higher weight leading to a lower recommended weight gain during pregnancy. Why does weight during pregnancy matter? The Monash University study reviewed over 1.3 million pregnancies and assessed the impact of gestational weight gain on health outcomes for both mother and baby. It found that 47% of women gained more weight than is recommended by the Institute of Medicine, while 23% of women gained less than the recommended amount. Gaining too little weight is linked to a higher risk of preterm birth, and of the baby being small for gestational age, the research found. Gaining too much weight is associated with a higher likelihood of difficult births and the baby being large for gestational age. Other research has suggested that being above a healthy weight before you fall pregnant and gaining too much weight during pregnancy can increase your risk of high blood pressure during pregnancy, gestational diabetes and pre-eclampsia. It can also make it more difficult to return to your pre-pregnancy weight. What is the ideal weight to gain? Women who are within a healthy weight range (BMI 18.5 - 24.9) should gain between 11.5 and 16 kg. Women who are underweight (BMI less than 18.5) should gain between 12.5 and 18 kg. Women who are overweight (BMI between 25.0 and 29.9) should gain between 7 and 11.5 kg. Women who are obese (BMI greater than 30) should gain between 5 and 9 kg. MORE: Try our free online healthy weight gain during pregnancy calculator. Forget the ‘eating for two’ myth. You may need to eat a bit more than usual during your second and third trimesters, but not a lot more. Follow the Australian Dietary Guidelines for pregnancy and keep your portion sizes moderate. Get your essential nutrients. During pregnancy, your needs for protein, iron, iodine and folate increase. Eating a balanced diet with a focus on green leafy vegetables, lean protein sources, nuts and seeds, and reduced-fat dairy can help you meet these needs. Many women also take folate and iodine supplements – your doctor can advise if these are a good idea for you. Eat plenty of vegetables. Your baby needs a variety of vitamins and minerals to thrive. A good way to make sure your diet is full of these is to eat lots of vegetables each day. Try to eat vegetables of all different colours to get a healthy mix of different nutrients. Limit treats. It can be hard if you have cravings, but try to limit discretionary foods high in saturated fats, added salt and added sugars. These foods add little nutritional value to your diet and can contribute to gaining too much weight, as well as other health risks throughout life. Drink lots of water. Your body needs plenty of water to function well, and during pregnancy your fluid needs increase slightly. The Australian Dietary Guidelines recommend pregnant women aged over 19 should drink around 2.3 litres (nine cups) of water each day. Stay active. Exercise is important all throughout your life, and most pregnant women with no health complications can and should get active on most days, in consultation with your health professional. This will help you stay in a healthy weight range and reduce your risk of developing gestational diabetes. Exercise also helps to boost your energy and mood, and can help relieve back and pelvic pain, reduce your risk of pregnancy complications, and prepare your body for labour. Ask for help. Don’t hesitate to reach out to your health professionals with any questions about your weight or diet during pregnancy. An Accredited Practising Dietitian (APD) can also provide nutrition advice and help you create a healthy eating plan that works for you. To find an APD near you, you can search the Dietitians Association of Australia directory. Find out more about Monash University’s pregnancy-related studies at the Monash Centre for Health Research and Implementation (MCHRI). Subscribe to Live Better’s pregnancy program for a FREE healthy pregnancy recipe e-book! As well as helpful reminders, guidance, offers, promotions and updates on each stage of pregnancy, straight to your inbox each week.